We left YHA St Pauls early on the Monday morning, with the aim of cramming as much in as possible on our only full day in the capital. We were in Trafalgar Square for before 9 am. Then a little walk around before heading up to ‘where the Queen lives’ for the Changing of the Guard at 11 am. We had a quick bite to eat on the South Bank and then headed back over Westminster Bridge to Westminster Pier for our City Cruises tour. Finding our way was easy. There are plenty of signs on Westminster Pier directing you to the right queue, as well as City Cruise staff on the pier. We had printed off our cruise ticket at home and all we had to do was show it to the staff. 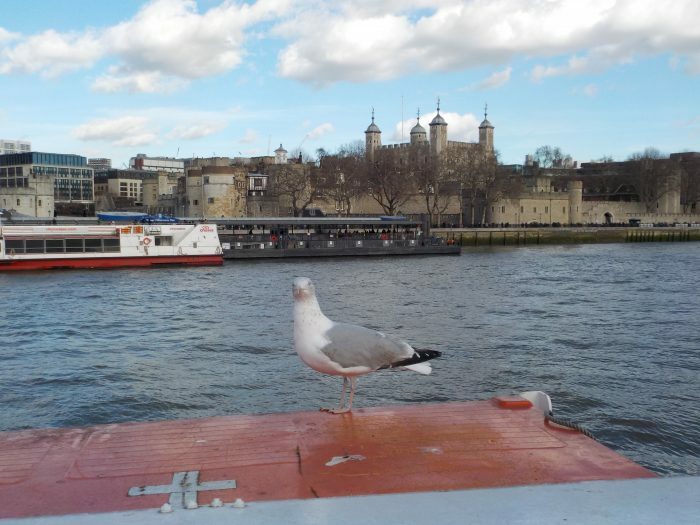 There are up to 15 sailings per day from Westminster Pier – check out the timetable on their website for more info – so you could be waiting for up to 40 minutes at the most for the next boat. The boat we got was bang on time though, so check the timetable if you don’t want to be hanging around that long. Westminster Pier is the one next to Big Ben, opposite the London Eye and the London Aquarium. 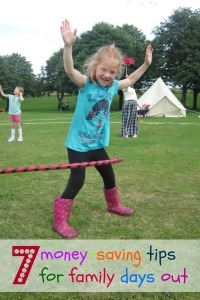 There are also pier stops at London Eye, The Tower of London, and all the way up at Greenwich. A day ticket gives you as many journeys as you can cram in between these points. The boat had two decks – one undercover with loos and a snack bar, and an open-top which was fresher but much more fun. Audio commentary equipment is available in a choice of languages, or you can listen to the English-speaking tour guide. He was much more fun, and encouraged us to wave to pedestrians on the bridges as we passed under. The boat seats dozens of passengers and on the day we went, it was reasonably busy. We didn’t have any problems getting a seat where we wanted it but we occasionally had to wait for people to sit down so we could take pics without being photobombed! It was sociable but not overcrowded. 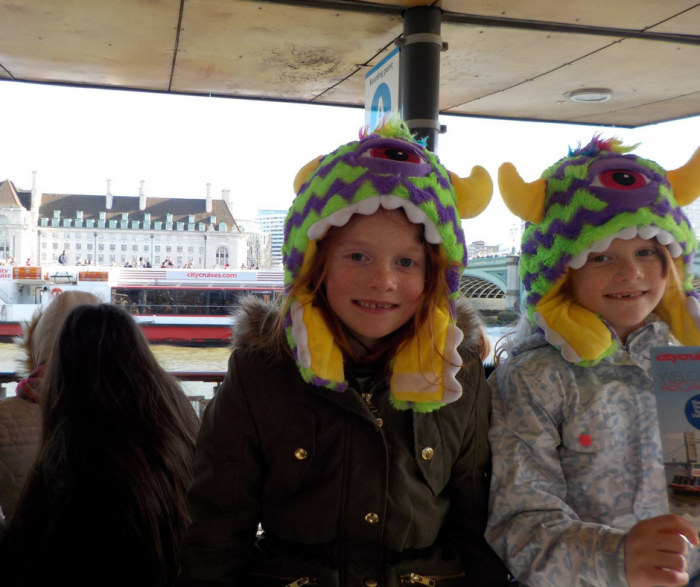 Our tour took us from Westminster Pier to Greenwich, but we got off at Tower Pier to have a good look at the Tower of London and Tower Bridge. 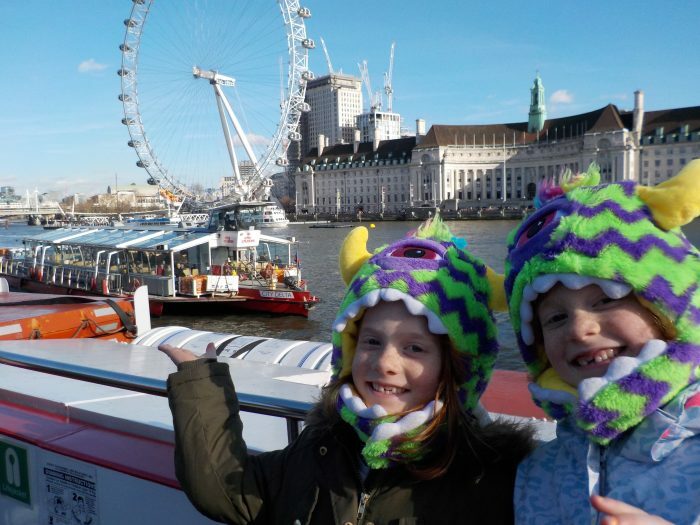 We passed by the London Eye, Cleopatra’s Needle, the ITV Studios, the OXO building, Tate Modern, HMS Belfast, and lots of other London landmarks, as well as sailing under six of the Thames’ famous bridges. 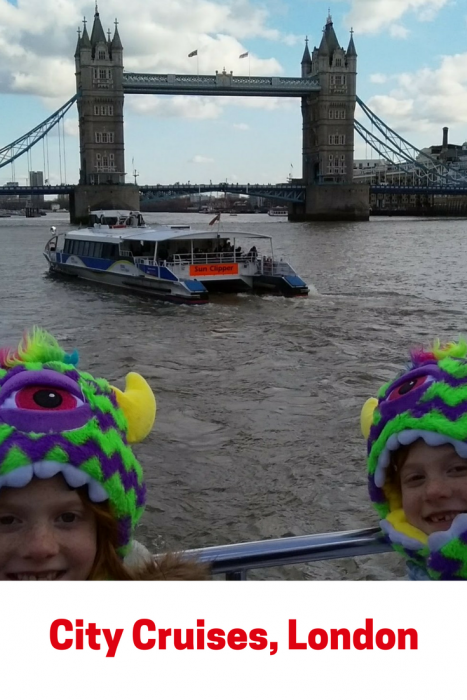 You can see more on our City Cruises video…. We didn’t have time to go up to Greenwich, or back to Westminster Pier as we still had some bits we wanted to see up close. However, we could have ridden up and down all day on the cruises if we wanted. 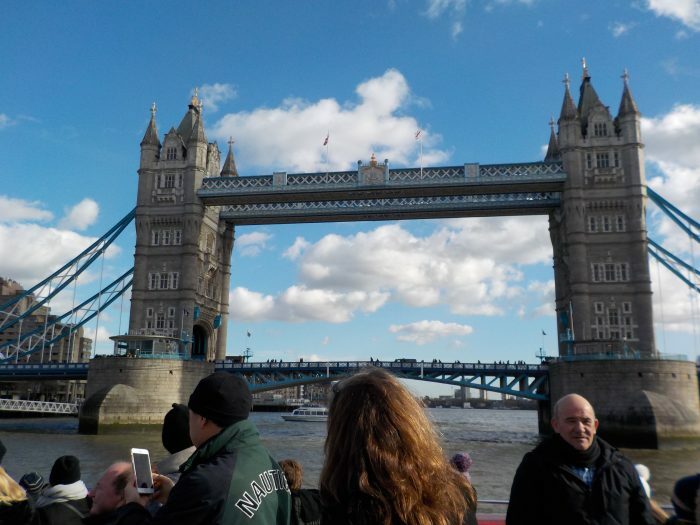 It is a very pleasant way to see London and is a tourist must-do. We and the monster hats enjoyed it immensely. 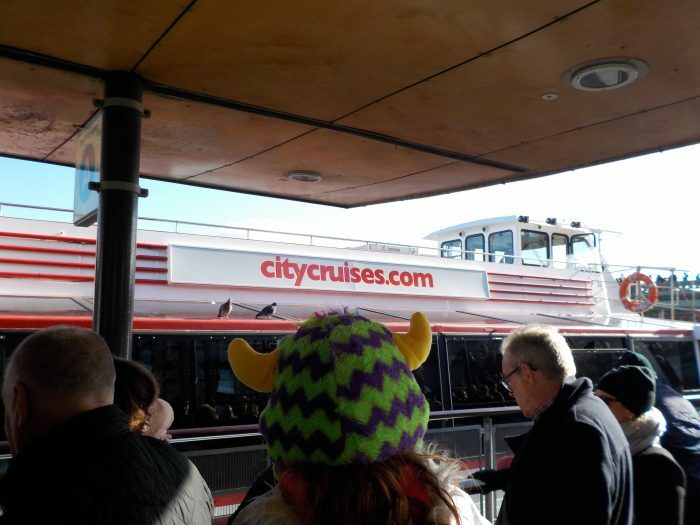 Thanks to City Cruises for inviting us aboard! 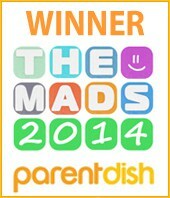 Disclosure – we were guests of City Cruises for the purposes of this review. All opinion (and monster hats) is our own.